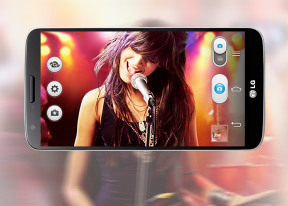 The LG G2 is not just the company's next flagship. It is LG's hope of getting their best shape back after quite a few uninspiring attempts. And this time around, the stakes are higher than ever as the competition out there is in its top form too. The first thing LG got right is the timing, staying put well after Samsung and HTC unveiled their flagships. This allowed LG to offer the best chipset from Qualcomm, essentially coming up with a 2014 flagship in 2013. LG did not rely solely on the phone's internals to best the competition. The LG G2 comes with one of the best-quality 5"+ 1080p displays available on the market with amazing colors, viewing angles, great brightness and contrast, plus good enough sunlight legibility. Then there is the 13MP OIS camera capable of 1080p@60fps video recording. Our samples show the G2 camera quality is on par with the best of the best smartphone cameras in the 13MP range and even though the G2 for some reason can't capture 4K videos, its 1080p optically-stabilized samples are great. LG has done some great work on the design and ergonomics too, introducing the innovative Lock/Volume key at the back. Placing it right under the user's index finger is indeed very clever and we are sure though at first it may look odd, it will be one of the LG G2's best appreciated features. And we really like the double-tap lock/unlock trick too. LG has been keen to outdo Samsung's TouchWiz for as long as we can remember. And you know what - this time LG might have done exactly that. The new Optimus UI is more coherent and more functional, bringing lots of useful features and services while still managing to stay relatively simple to use. We have always appreciated the variety of themes and icon packs LG has offered but, honestly, nobody above the age of 12 was actually going to use some of those colorful disasters. The Q Slide mini apps, Quick Memo system-wide feature, Guest Mode, Slide Aside multi-tasking, dual-video-recording, the cool lock/unlock double-tap support, great video player and multimedia capabilities, many organizing skills and connectivity options - those are only part of what the Optimus UI brings to the Android OS. There is just one thing LG needs to fix in the upcoming months - its Android upgrade cycle - and all the bad publicity will come to an end. So, the LG G2 has lots of worthy features and is an excellent upgrade of its Optimus G predecessor. The only thing that bothers us is the lack of memory expansion at a time when more and more manufacturers are favoring the return of the microSD card slot. The LG G2 has only 23GB of free storage available to the user. This space will be enough for exactly 100 minutes of 1080@60fps video. But once you've uploaded some music, shot a few pictures and installed a few games, you'll find that there is only enough space for 20 minutes of video at best. What if the G2 was capable of 4K video capturing? Three minutes and you're out?! Someone should better start thinking on these problems or they'll backfire badly within a year or so. Anyway, there is always a way to expand the storage via a USB on-the-go adapter/cable and an external flash drive. It might not be the most comfortable way, but you will still be able to record long videos or carry around enough movies/TV episodes/pictures/music. The LG G2 might be arriving well into the year but it will surely be among this season's best picks. 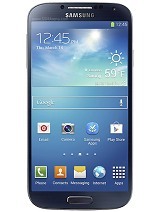 The Samsung Galaxy S4 is currently available in three versions running on Exynos 5 Octa, the widely available Snapdragon 600 and the Snapdragon 800, which is confined to Korea. The latter is rumored to launch in Europe too, but there is nothing official on that. The Galaxy S4 offers a great camera too, though not optically stabilized, it also has a great 5" 1080p Super AMOLED display and comes in a very thin and light shell. It has a few things over the LG G2 - a microSD card slot, a removable battery, a good Android update cycle, and the TouchWiz UI still seems a bit tidier than the Optimus UI. Since the Galaxy S4 has launched last spring, its price has already went down and costs €100 less than the pre-order price of the LG G2. HTC has two Snapdragon 600-powered flagships - HTC One and the Butterfly S. Both run on similar hardware, pack the same 4MP UltraPixel cameras and come with front stereo speakers. 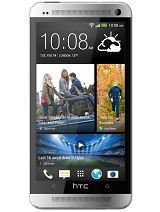 The HTC One has a 4.7" 1080p display and offers additionally optical image stabilization and an aluminum shell. The Butterfly S on the other hand comes with a bigger 5" 1080p display, 200MHz higher processor clock and a microSD card slot, but lacks the OIS and metallic body. HTC One has already lowered its price down to €500, while the Butterfly S costs about €700. Both smartphones are very good at what they do, but the LG G2 still sounds like the better choice to us. Sony has already unveiled its Xperia Z1 upcoming flagship. It's a 5" Snapdragon 800-powered beast with a 20MP camera sensor, water-proof glass unibody and Android 4.3 out of the box. Sony's proprietary launcher is really light, with very few extra features over the vanilla Android OS. We already met with the Triluminos display and we are quite happy with its quality. The Xperia Z1 however is notably larger than the G2 even though it has a smaller screen. And we are yet to see how well the 20MP camera performs. The Xperia Z1's current pre-order price is about €640 and will launch about the same time as the LG G2. There's no shortage of challengers coming from less likely places like the Oppo Find 5 and Huawei's Ascend D2. 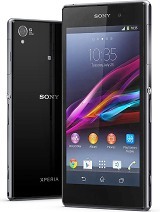 All of them have 5" FullHD screens, reasonably powerful processors, high-megapixel cameras and acceptable price tags. The problem with them is that they're not widely available, so you might need to jump through hoops to get them. At the end of the day, the LG G2 is a flagship like any other - a great combination of the latest tech, Android OS and a full bag of proprietary software goodies. What makes the difference in the G2 is that it isn't like some of its predecessors - late, irrelevant, and boring. It's a breath of fresh air for the company and we hope it brings some of the LG's glorious days back. Both LG and the G2 deserve it this time.